All guests enjoy ocean views at Windy Village in North Myrtle Beach, South Carolina. 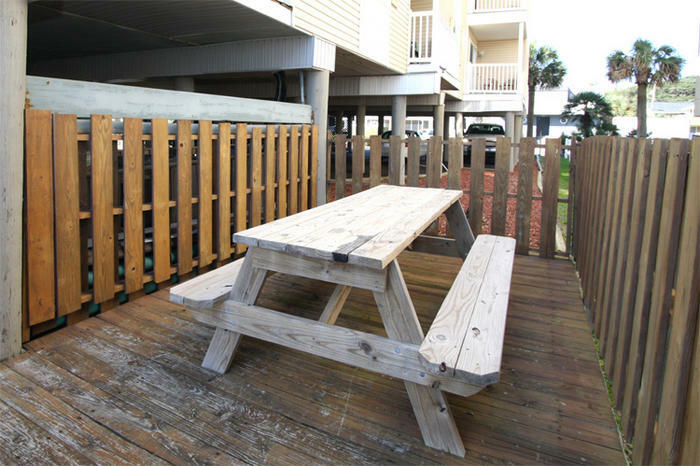 Private balconies in each of these North Myrtle Beach vacation rentals look out over the beautiful ocean and capture sea breezes blowing in from the beach. Windy Village is a three-story oceanfront North Myrtle Beach resort that is superbly designed and laid out so your family can indulge in a stunning seaside setting, regardless of which North Myrtle Beach vacation condominium you choose. All of the Windy Village North Myrtle Beach condominium rentals feature two bedrooms and two baths and accommodate six people comfortably, though each North Myrtle Beach condo is uniquely furnished. Every North Myrtle Beach condominium in this North Myrtle Beach resort has a washing machine and clothes dryer. This North Myrtle Beach vacation property features an oceanfront sun deck that includes a large oceanfront swimming pool. Lounge poolside with the latest best seller or bring a picnic lunch down to the sun deck and enjoy an oceanfront meal. A sandy dune line where sea oats capture sand and build the dune even higher is all that separates you from the beautiful Atlantic Ocean. Spends hours on a beach chair at the edge of the ocean where waves lap at your bare feet and the warm North Myrtle Beach sun shines down onto your shoulders. The exhilarating sights, soothing sounds and salty smells of being oceanfront are relaxing. And it is ultra convenient to have this playground just beyond your balcony. Running back into the North Myrtle Beach condo for a snack or a little break requires very little effort when you are just steps away from being back at your North Myrtle Beach vacation rental. The only reason you will have to get in your car during your North Myrtle Beach vacation at Windy Village North Myrtle Beach resort is because you want to go to one of the fun and exciting attractions in the North Myrtle Beach, South Carolina area. Shopping, dining, amusements and of course, championship golf courses, are only minutes away from your oceanfront accommodations when you vacation at Windy Village North Myrtle Beach resort. Elliott Beach Rentals is not affiliated with onsite management or the HOA of Windy Village.